Attending a big conference with your startup? Get the most out of it! Participating at big conferences or tech festivals can be a great opportunity for any company. Obviously, it’s really important to know what are the goals and purpose when attending such event. It can be launching a completely new product, validating some product concepts or business models, enlarging customer base by spreading the word, looking for a new investor, or eventually just exploiting the budget your financial department allocated you to give out some nice t-shirts, company stickers or business cards. Building a new customer network or starting conversations on closing a potential partnership requires hours of talking and presenting and one may think, this can be a simple task thing for any great sales person. 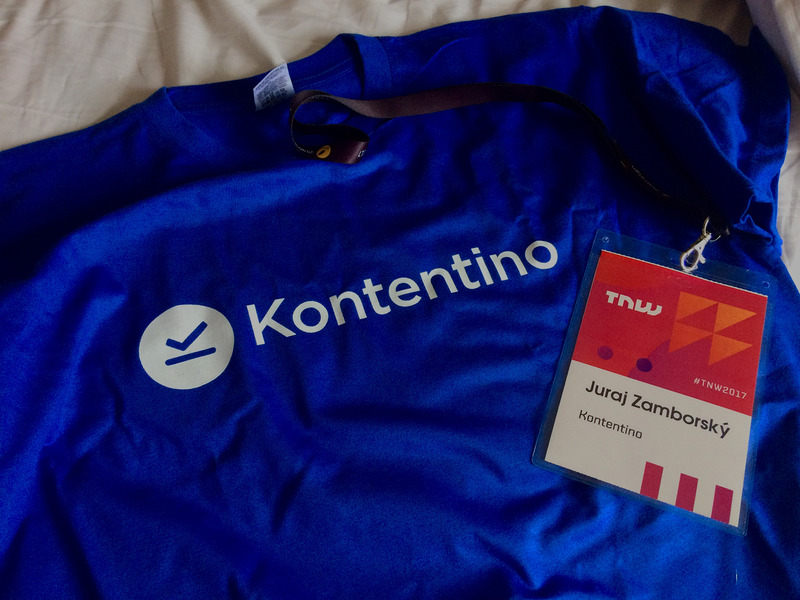 We, Kontentino team, recently attended The Next Web conference and it was truly an amazing experience for the whole team. We have never been to such event and from the beginning, it sounded really promising since there was a huge variety of startups and not only social media tools. In other words, we had a good opportunity to attract potential customers to stop by and talk to us. Additionally, as any other tech-savvy people and knowledge junkies, we follow TNW and wanted to become a part of a great community. After we got selected and received welcome emails from the organizing team, we sat together and spent some time on planning the next crucial steps. It’s definitely not a rocket science but still, it requires some preparation. Well, improvisation works sometimes and you should be opened to react spontaneously, but having a structured list of tasks helps you to not forget and execute what is necessary. In our case, we built a list of tasks our team needed to finish before, during and after a TNW conference. Excel table with a simple overview works the best. Your current clients, leads and prospects need to know you’ll be attending a particular conference and will be having a booth there. Be proud of yourself and spread the word. Put it on your website. Use Linkedin, Twitter messages, Cold-email attendees or even start PPC campaigns targeting some prospects from the region where the conference takes place. Want to meet up with investors or clients? Most of the conferences provide you with their official mobile app, which you can download for reaching out attendees and investors directly. Moreover, you can see everybody’s schedule. Just reach out to them and schedule 10 minutes chat and if they can’t have a meeting, try to meet them directly. Simply try everything to schedule meetups or mentoring sessions. Cause that’s essential for being successful. 3) Pitch, pitch and pitch! Just pitch. 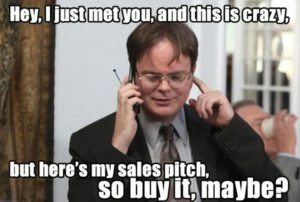 When they finally come to see you, or you just attract someone wandering around your stand, prepare your pitch. Don’t forget to have different time versions of your pitch. Not everyone can listen to you for more than 30 minutes. Therefore, prepare your 10 seconds, 1 minute or 3 minutes elevator pitch and short product demos. Understand current issues of the person you’re doing a demo for and showcase the most important features addressing those issues. Have your pitch deck prepared. Show the numbers and your traction! Don’t be afraid of questions aimed at differences between you and your competitors. 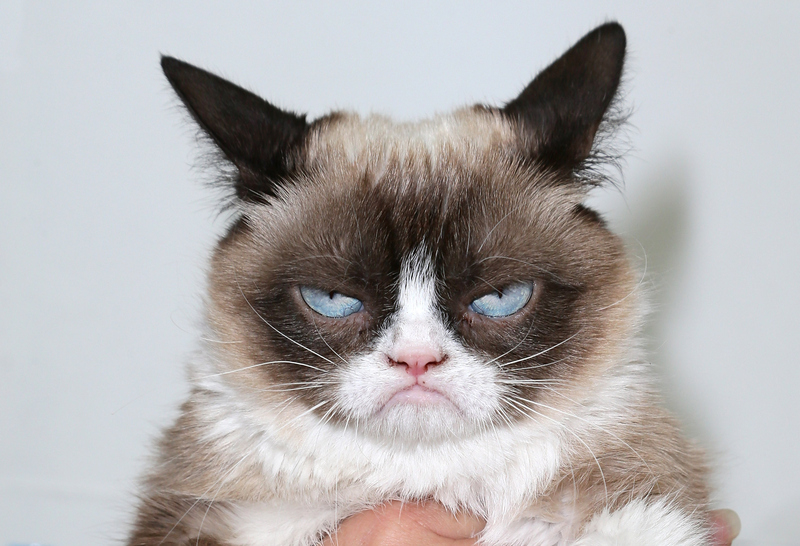 “Did you guys hear about Hootsuite or Buffer? How you differ from those tools?” That’s something we heard many times during TNW Conference. The better you prepare yourself and train your pitch and USP, the easier they’ll find a value in your product. So try to do a lot of talking, have a lot of people around you and even more people will come to speak with you. It sounds pretty obvious but try to stand-out as much as possible. Funny stickers, business cards and t-shirts are not enough. Use unconventional hacks and create a buzz around you. When attending TNW Conference, we decided to make cotton “content” candies for people and stick our business cards into them. I have to admit that it worked pretty well and suddenly there were many people and we could pitch Kontentino to them immediately. Think of things you would appreciate the most, despite not having an initial interest in someone else’s product. You can allow people to charge their phones at your stand, give them a cup of coffee or even small candies, cupcakes with some taglines. “If you’re afraid of wolves don’t go into the forest.” Going for the conference is about networking, getting away from your comfort zone. Be open to start a conversation anytime and anywhere. Wear a badge with your name, put a logo on it or your company t-shirt. It’s kind of a brand awareness, people remember your company logo or claim and once they see your booth, they immediately recall you in their heads. Try everything that helps you break the ice, because you need to walk around, open your eyes and then you’ll see the potential everywhere around you. For example, I always wear SpaceX hoodie and you can imagine how many people want to arrange a personal meeting with someone who “works” for Elon Musk. And don’t forget to attend after-parties since they’re the best for finding someone interesting to talk to. Make sure you have enough business cards or at least a connection to accept requests and invitations. Draft your press release in advance. Always include information about yourself during the event. Keep it short – use one-page document, write down when you’re launching, about the market potential, where you’re pitching, logo, pictures, information about milestones. Here’s how you can structure a simple press release. Be active on social media during the conference. Show off you’re present everywhere. People use Twitter when attending conferences, so make sure you know how to tweet and use right #hashtags. Schedule intro tweets about keynotes at a specific time in advance. If you think that it might be pretty time-consuming, utilize several tools such as Tweetdeck, streaming tools or save your time with Kontentino. Attending conferences is also about learning new things and keeping up with new trends. Choose the most relevant keynotes or speakers. If you go to the conference with a team of people, make sure everyone goes to different keynotes or sessions. Or just meet with other startups and write reviews about them. Your teammates should be able to share what they learned so that you share your learnings in a blog. 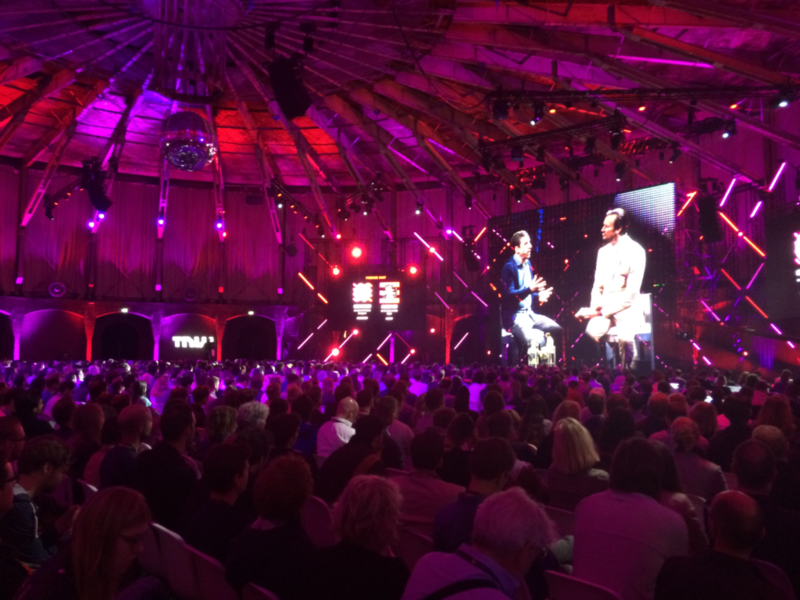 You can already read what have we learned from the keynotes and speakers at TNW conference. Last but definitely not the least, follow-up with people you met at the conference, pitch your product or exchange business cards. Furthermore, go back to the list of attendees you build before going to a conference and send them an after-conference follow-up email. Don’t forget that one email isn’t enough. Next time you’ll be planning to attend some conference, set up your expectations in advance. In addition, preparation is a key to success, but being able to adapt is an essential skill if circumstances change, what they do terribly often. In any case, conferences are a wonderful opportunity to meet your new clients in order to grow your business. Running Sales & BD @ Kontentino Social media & Growth Hacking enthusiast Topics on "How to scale the business | startups"